Have you heard the phrase, “No Two Fires Are The Same”? It is not true! There are plenty of fires that are the same. They may not be identical , but they are very much alike. This statement, like others, has taken on a life of its own and, if strictly adhered to and believed, can impact negatively on fireground operations. Unless your response area contains completely custom one-of-a-kind homes, then your department has experienced some fires that were the same. While the postal couriers motto talks about rain, snow, sleet and gloom of night never impacting the swift completion of their rounds, the same is not true of the fireground. Time of day, weather, etc. impact us, but the fire’s location within the dwelling type doesn’t vary. A kitchen fire in a ranch in a neighborhood of predominantly ranch style houses is just that, a repeatable similar fire. A second floor rear bedroom fire in a condo among hundreds just like it in a development is the same fire. The effect on operational safety comes when we firmly believe the statement that no two fires are the same and therefore do not take the time to evaluate our response area to discover the occupancies that are similar and develop SOGs for such building fires. What happens next is that a lack of SOGs impacts efficient operations and the dispatching of tactics which then must be ordered instead of being intuitive. When everyone is awaiting the most remedial of orders, we will experience delays and delays equal fire growth in this business. Never had a fire that was the same as another? Think again! 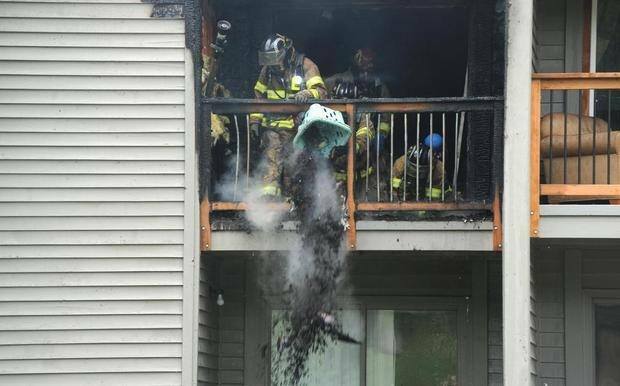 This entry was posted in Combat Ready, Engine Company, Fire Attack, Suburban, Uncategorized, Urban by countyfiretactics. Bookmark the permalink.